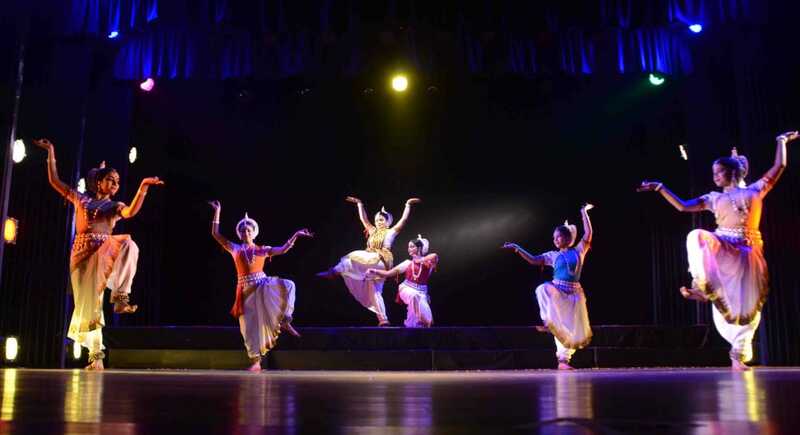 The Day 2 evening started with “Namami” presented by the young dancers of Gunjan.. 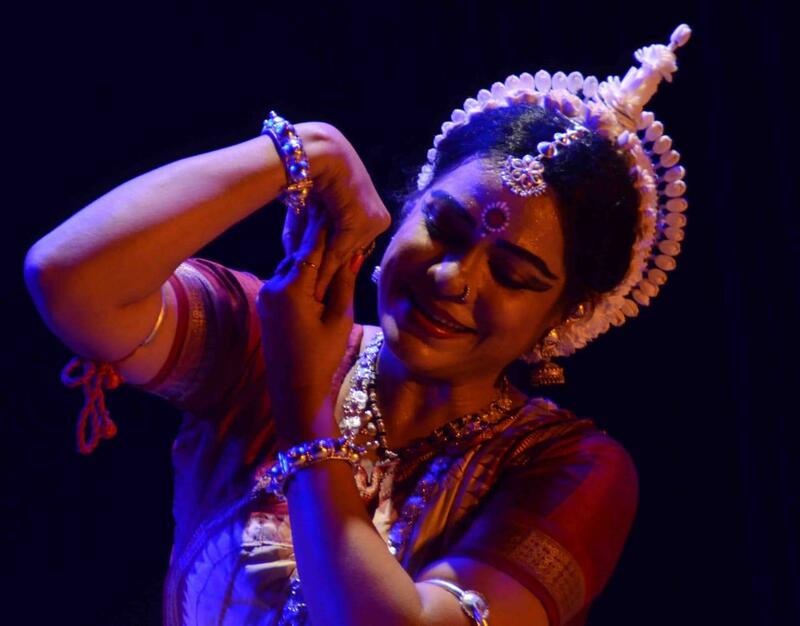 It was followed by “Mohana Pallavi ” presented by Swarnamayee Behera & Munmun Singh, disciples of Smt Meera Das. 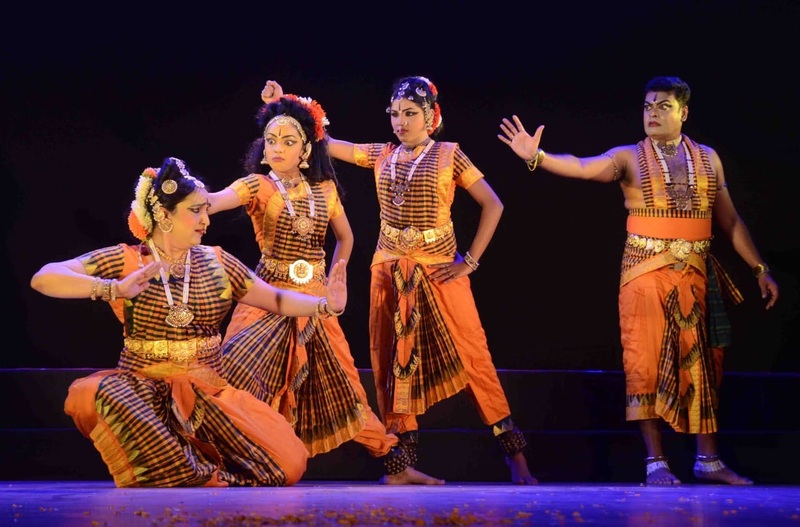 The third performance was by Gauri Shankar Das, young & energetic odissi dancer from Dhenkanal who performed “Jeevan Chakra” . 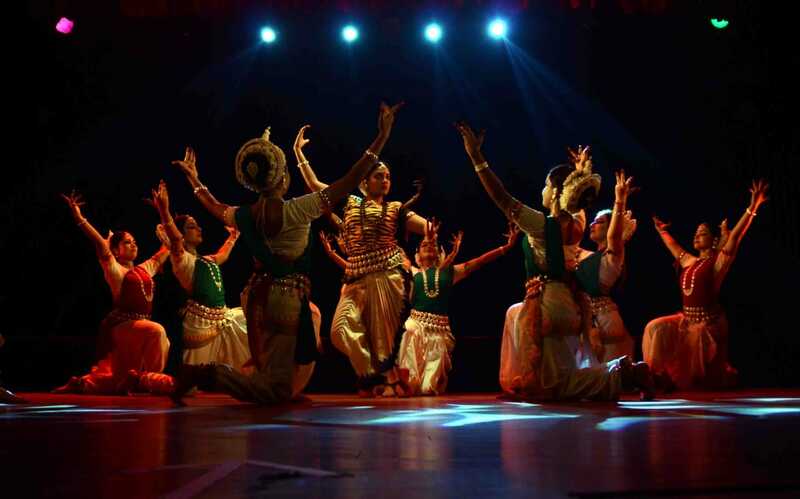 Next was a bharatnatyam recital by Shri Badari Divya Bhusan & Group (Bhusan’s Academy of performing arts & visual presentation) from Mysore, presented a short story from Ramayana and Nava Rasa.. 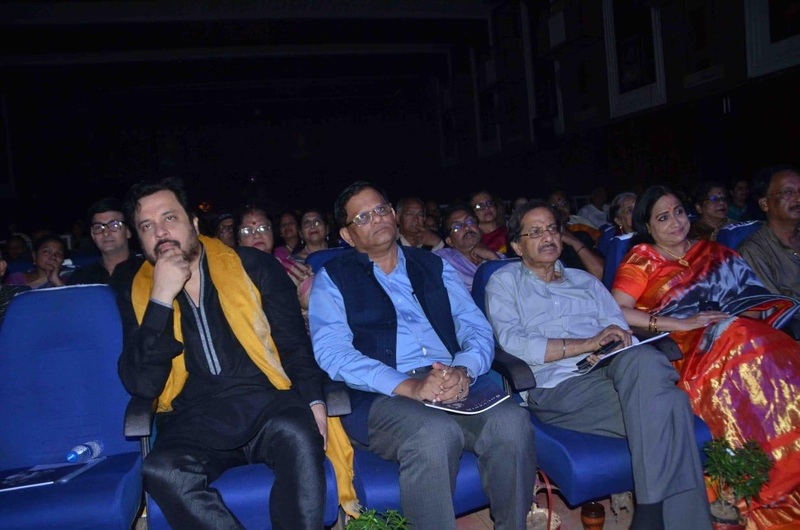 The Day 3 , the concluding day of 22nd Gunjan Dance & Music festival started with the felicitation of Guru Shri Durga Charan Ranbir with “Nibedita Pattnaik Sanman” A special attraction of evening was the presence of Bollywood actor Shri Mahesh Thakur as an esteemed guest.. 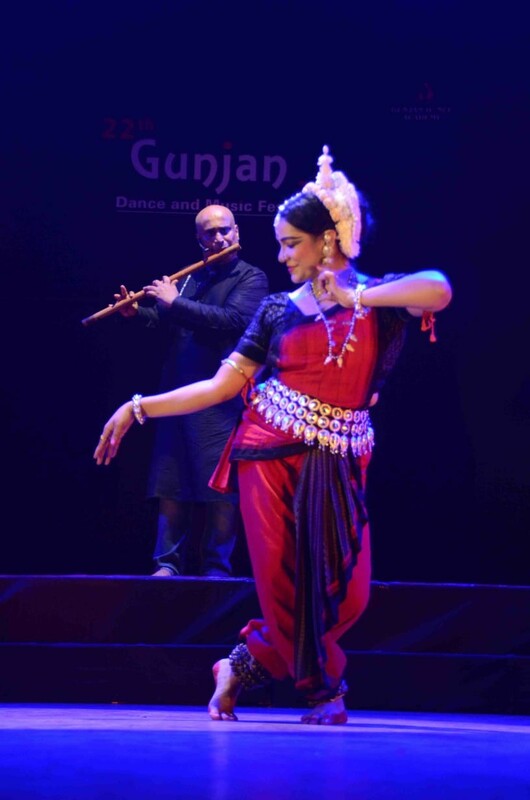 The performances started with padabande by upcoming dancers of Gunjan. 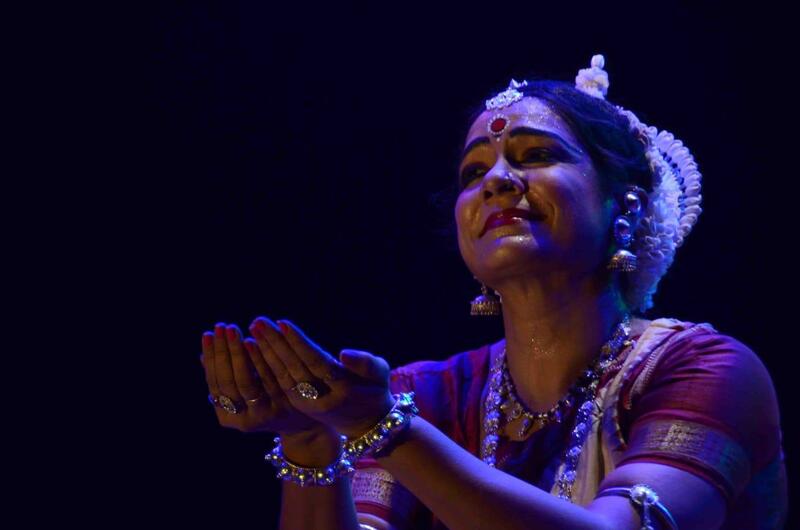 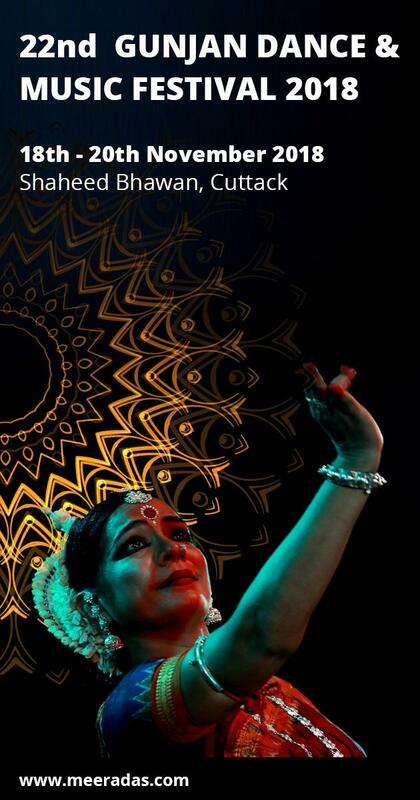 Smt Meera Das presented “Sakhi he” an astapadi from Gita govinda Choreographed by Padma Vibhushan Guru Shri Kelu Charan Mohapatra which left the audience mesmerized.. 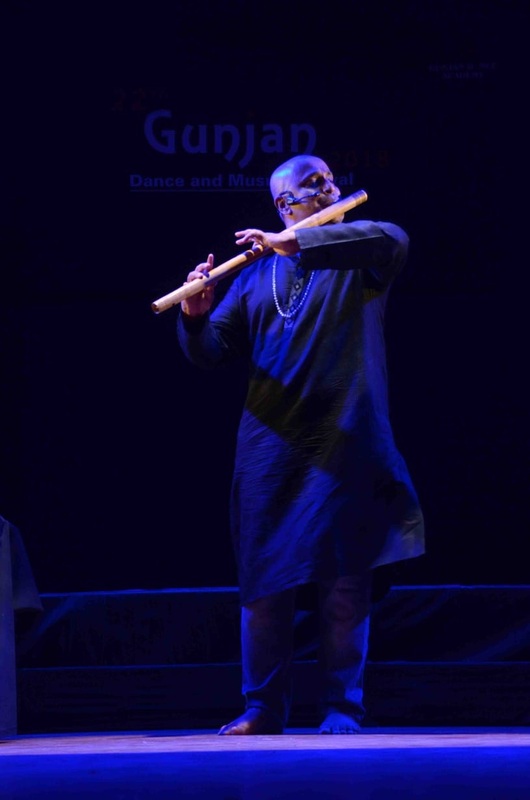 It was followed by a flute recital by Shri Annada Prasanna Pattnaik from Bangalore who is popularly known as flute Butoo performed short classical, semiclassical pieces & some old odia compositions. 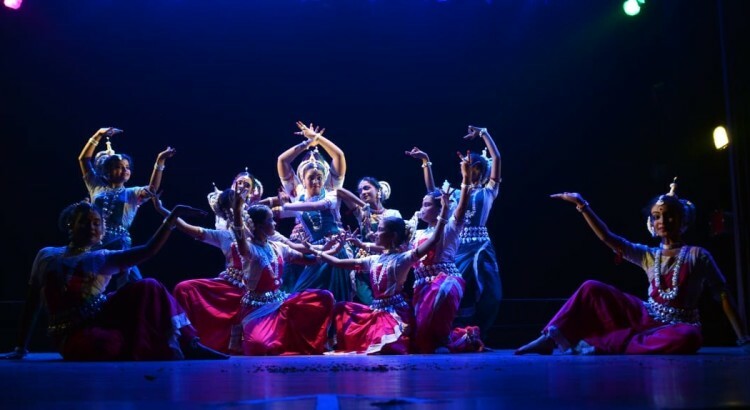 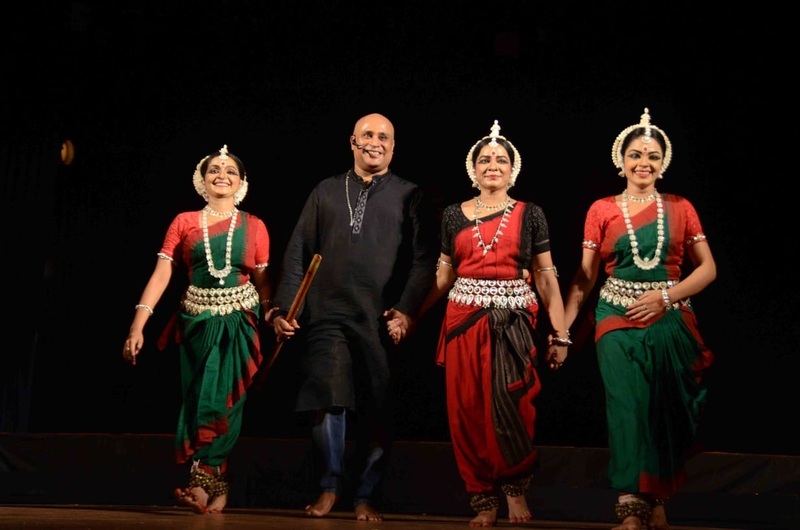 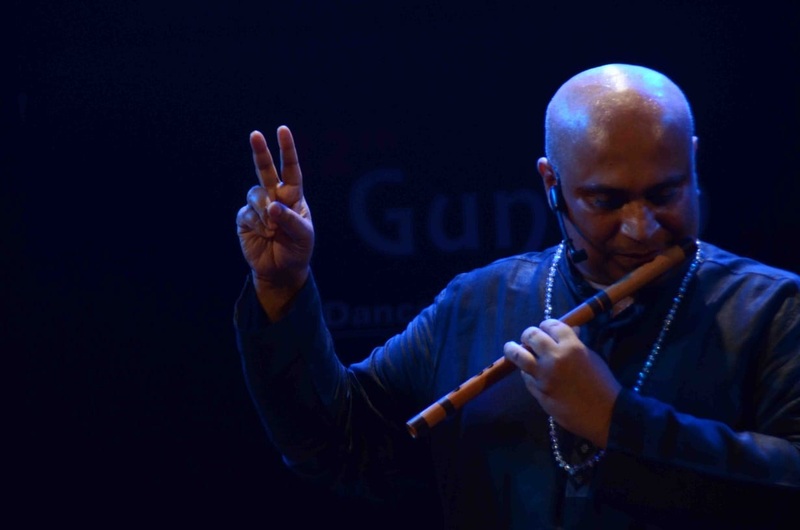 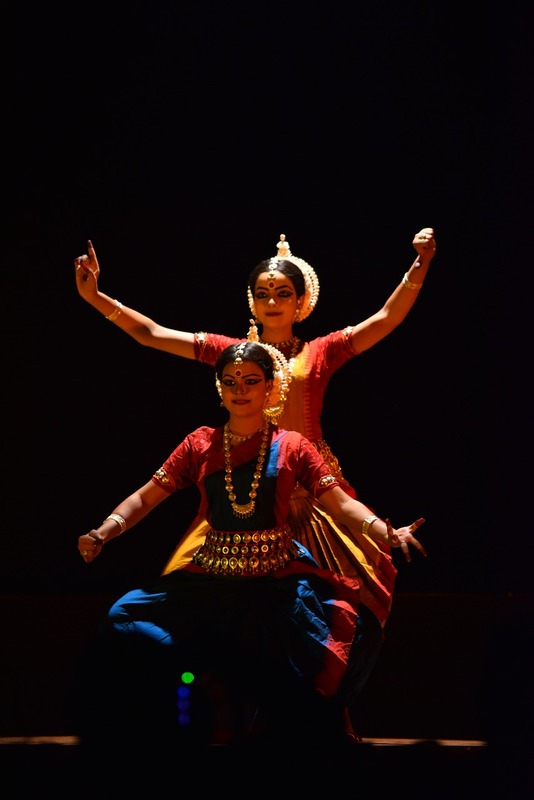 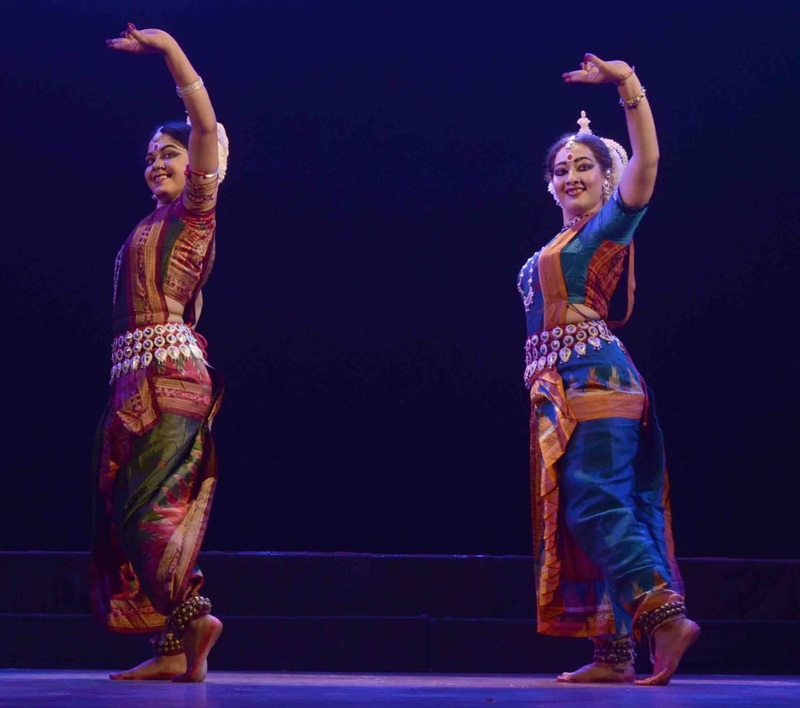 The concluding part was a fusion of Odissi with flute by Shri Annada Prasanna Pattnaik & Smt Meera Das along with her senior disciples Sasmita panda & Puspa panda which was greeted by standing ovation from the audience.. 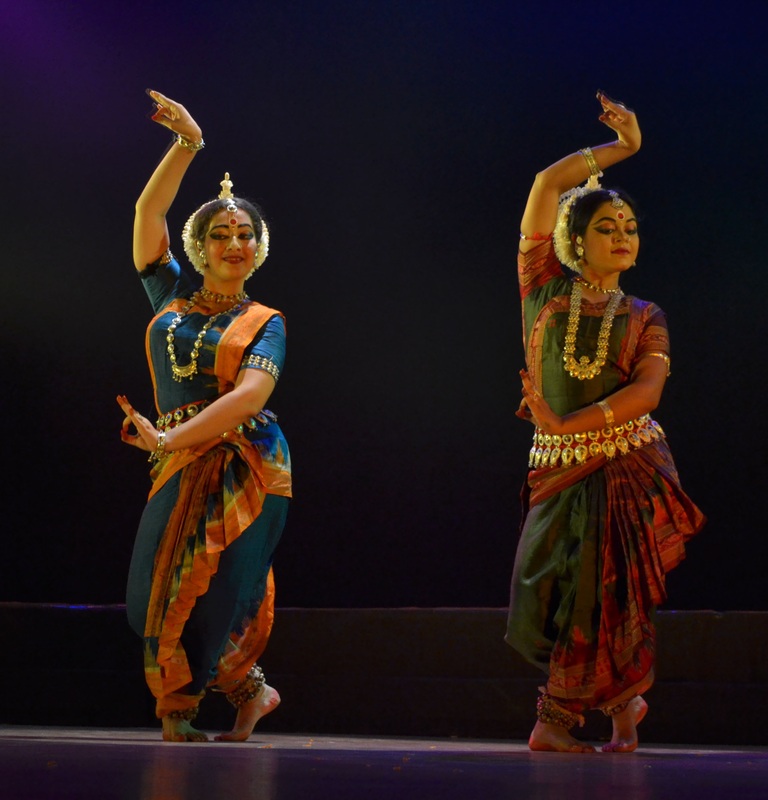 The Day 1 evening started with “Jagannath mangalam” by senior dancers of Gunjan Dance Academy, it was followed by an abhinaya “Taba Birahe” astapadi from gita govinda performed by Sasmita panda, one of the Senior most disciple of Guru Smt Meera Das. 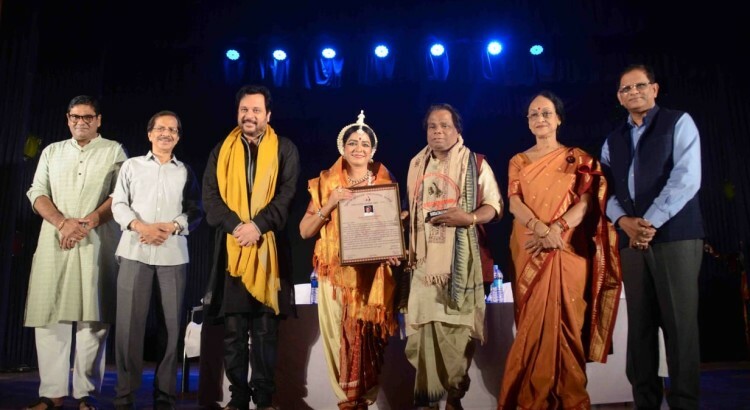 Next was a duet by Sweekruti Das & Bhagyashree Aich, disciples of guru smt meera das ,who performed “Madan Mohan Stotram” describing many forms of Lord Vishnu.. 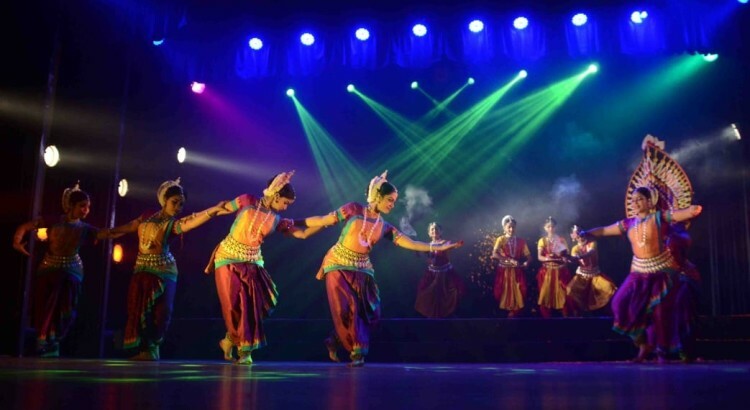 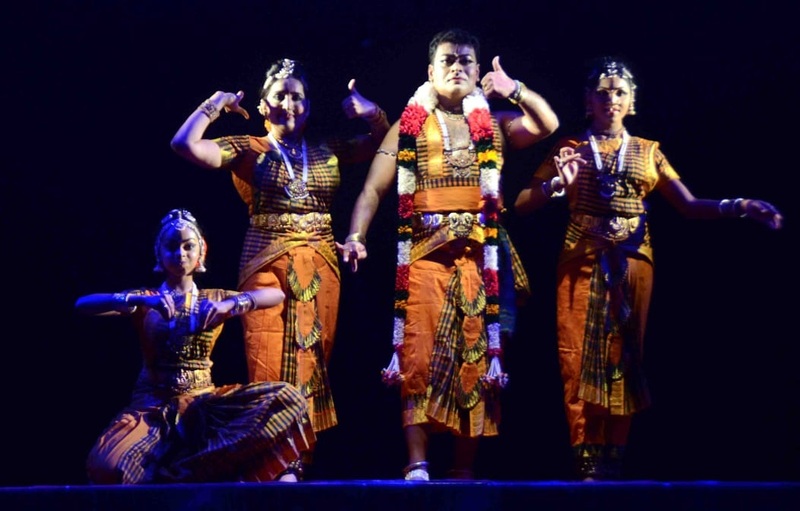 The fourth presentation was “SRUSTI” , a new innovative & colourful compostition was about “pancha maha bhootas” or five Elements choreographed by Guru Smt Meera Das, music composed by Shri Annada Prasanna Pattnaik. 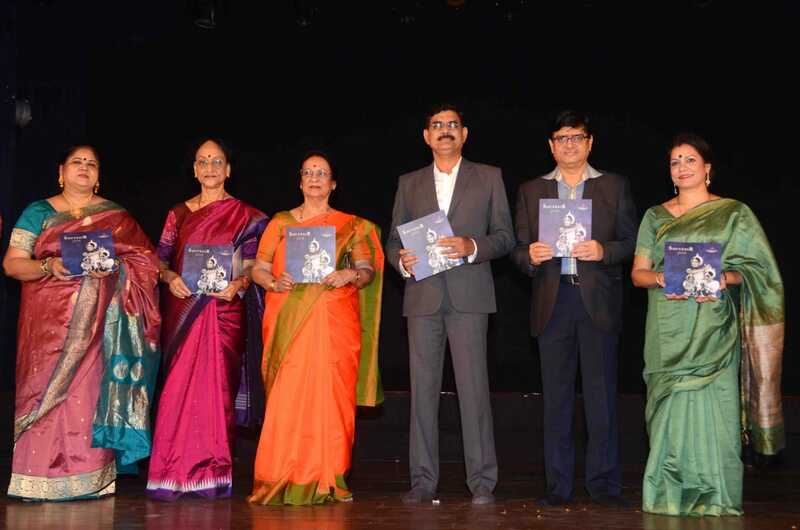 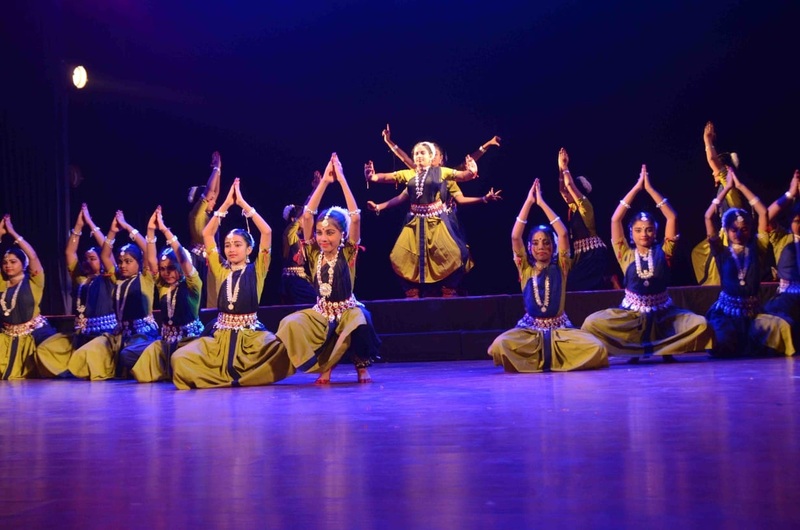 Each element was portrayed very nicely by the senior performers of Gunjan. 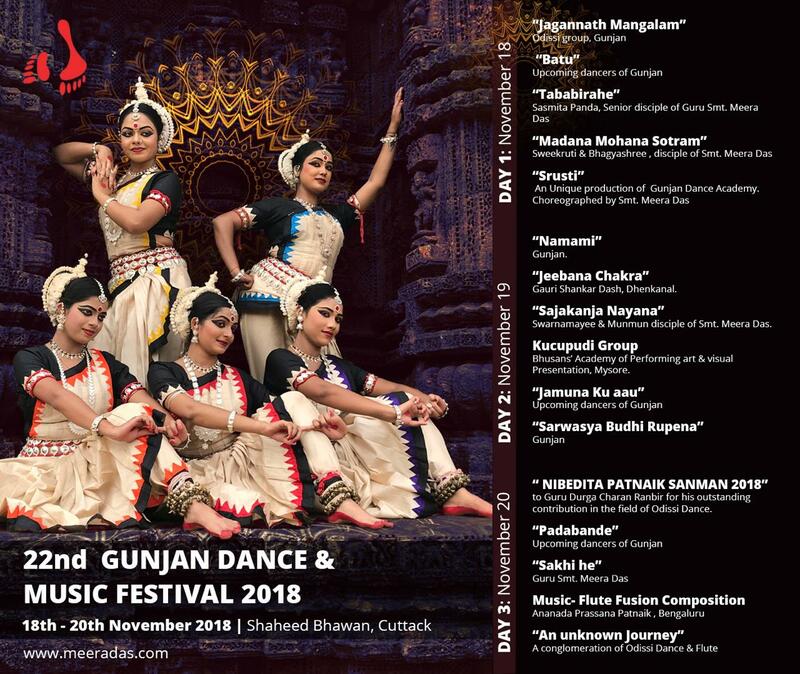 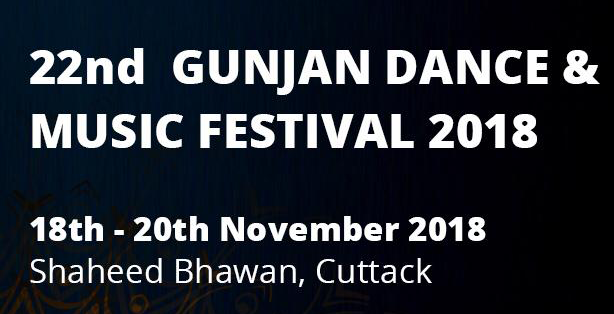 E-invitation of the Gunjan Dance and Music Festival 2018.